The Blog Muhammad Rasyiduddin Web Site (the "Site") is an online information service provided by Muhammad Rasyiduddin ("Blog Muhammad Rasyiduddin "), subject to your compliance with the terms and conditions set forth below. PLEASE READ THIS DOCUMENT CAREFULLY BEFORE ACCESSING OR USING THE SITE. BY ACCESSING OR USING THE SITE, YOU AGREE TO BE BOUND BY THE TERMS AND CONDITIONS SET FORTH BELOW. IF YOU DO NOT WISH TO BE BOUND BY THESE TERMS AND CONDITIONS, YOU MAY NOT ACCESS OR USE THE SITE. Blog Muhammad Rasyiduddin MAY MODIFY THIS AGREEMENT AT ANY TIME, AND SUCH MODIFICATIONS SHALL BE EFFECTIVE IMMEDIATELY UPON POSTING OF THE MODIFIED AGREEMENT ON THE SITE. YOU AGREE TO REVIEW THE AGREEMENT PERIODICALLY TO BE AWARE OF SUCH MODIFICATIONS AND YOUR CONTINUED ACCESS OR USE OF THE SITE SHALL BE DEEMED YOUR CONCLUSIVE ACCEPTANCE OF THE MODIFIED AGREEMENT. The entire contents of the Site are protected by international copyright and trademark laws. The owner of the copyrights and trademarks are Blog Muhammad Rasyiduddin, its affiliates or other third party licensors. YOU MAY NOT MODIFY, COPY, REPRODUCE, REPUBLISH, UPLOAD, POST, TRANSMIT, OR DISTRIBUTE, IN ANY MANNER, THE MATERIAL ON THE SITE, INCLUDING TEXT, GRAPHICS, CODE AND/OR SOFTWARE. You may print and download portions of material from the different areas of the Site solely for your own non-commercial use provided that you agree not to change or delete any copyright or proprietary notices from the materials. You agree to grant to Blog Muhammad Rasyiduddin a non-exclusive, royalty-free, worldwide, perpetual license, with the right to sub-license, to reproduce, distribute, transmit, create derivative works of, publicly display and publicly perform any materials and other information (including, without limitation, ideas contained therein for new or improved products and services) you submit to any public areas of the Site (such as bulletin boards, forums and newsgroups) or by e-mail to Blog Muhammad Rasyiduddin by all means and in any media now known or hereafter developed. You also grant to Blog Muhammad Rasyiduddin the right to use your name in connection with the submitted materials and other information as well as in connection with all advertising, marketing and promotional material related thereto. You agree that you shall have no recourse against Blog Muhammad Rasyiduddin for any alleged or actual infringement or misappropriation of any proprietary right in your communications to Blog Muhammad Rasyiduddin. Publications, products, content or services referenced herein or on the Site are the exclusive trademarks or servicemarks of Blog Muhammad Rasyiduddin. Other product and company names mentioned in the Site may be the trademarks of their respective owners. 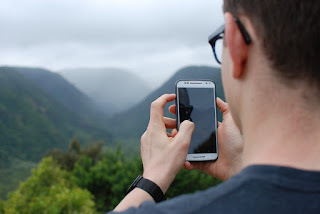 You understand that, except for information, products or services clearly identified as being supplied by Blog Muhammad Rasyiduddin, Blog Muhammad Rasyiduddindoes not operate, control or endorse any information, products or services on the Internet in any way. Except for Blog Muhammad Rasyiduddin- identified information, products or services, all information, products and services offered through the Site or on the Internet generally are offered by third parties, that are not affiliated with Blog Muhammad Rasyiduddin a. You also understand that Blog Muhammad Rasyiduddin cannot and does not guarantee or warrant that files available for downloading through the Site will be free of infection or viruses, worms, Trojan horses or other code that manifest contaminating or destructive properties. You are responsible for implementing sufficient procedures and checkpoints to satisfy your particular requirements for accuracy of data input and output, and for maintaining a means external to the Site for the reconstruction of any lost data. YOU ASSUME TOTAL RESPONSIBILITY AND RISK FOR YOUR USE OF THE SITE AND THE INTERNET. Blog Muhammad Rasyiduddin PROVIDES THE SITE AND RELATED INFORMATION "AS IS" AND DOES NOT MAKE ANY EXPRESS OR IMPLIED WARRANTIES, REPRESENTATIONS OR ENDORSEMENTS WHATSOEVER (INCLUDING WITHOUT LIMITATION WARRANTIES OF TITLE OR NONINFRINGEMENT, OR THE IMPLIED WARRANTIES OF MERCHANTABILITY OR FITNESS FOR A PARTICULAR PURPOSE) WITH REGARD TO THE SERVICE, ANY MERCHANDISE INFORMATION OR SERVICE PROVIDED THROUGH THE SERVICE OR ON THE INTERNET GENERALLY, AND Blog Muhammad Rasyiduddin SHALL NOT BE LIABLE FOR ANY COST OR DAMAGE ARISING EITHER DIRECTLY OR INDIRECTLY FROM ANY SUCH TRANSACTION. IT IS SOLELY YOUR RESPONSIBILITY TO EVALUATE THE ACCURACY, COMPLETENESS AND USEFULNESS OF ALL OPINIONS, ADVICE, SERVICES, MERCHANDISE AND OTHER INFORMATION PROVIDED THROUGH THE SERVICE OR ON THE INTERNET GENERALLY. 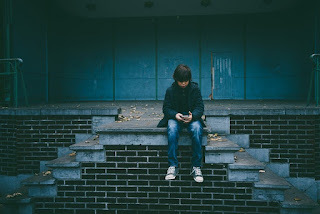 Blog Muhammad Rasyiduddin DOES NOT WARRANT THAT THE SERVICE WILL BE UNINTERRUPTED OR ERROR-FREE OR THAT DEFECTS IN THE SERVICE WILL BE CORRECTED. YOU UNDERSTAND FURTHER THAT THE PURE NATURE OF THE INTERNET CONTAINS UNEDITED MATERIALS SOME OF WHICH ARE SEXUALLY EXPLICIT OR MAY BE OFFENSIVE TO YOU. YOUR ACCESS TO SUCH MATERIALS IS AT YOUR RISK. Blog Muhammad Rasyiduddin HAS NO CONTROL OVER AND ACCEPTS NO RESPONSIBILITY WHATSOEVER FOR SUCH MATERIALS. IN NO EVENT WILL Blog Muhammad Rasyiduddin BE LIABLE FOR (I) ANY INCIDENTAL, CONSEQUENTIAL, OR INDIRECT DAMAGES (INCLUDING, BUT NOT LIMITED TO, DAMAGES FOR LOSS OF PROFITS, BUSINESS INTERRUPTION, LOSS OF PROGRAMS OR INFORMATION, AND THE LIKE) ARISING OUT OF THE USE OF OR INABILITY TO USE THE SERVICE, OR ANY INFORMATION, OR TRANSACTIONS PROVIDED ON THE SERVICE, OR DOWNLOADED FROM THE SERVICE, OR ANY DELAY OF SUCH INFORMATION OR SERVICE. EVEN IF Blog Muhammad Rasyiduddin OR ITS AUTHORIZED REPRESENTATIVES HAVE BEEN ADVISED OF THE POSSIBILITY OF SUCH DAMAGES, OR (II) ANY CLAIM ATTRIBUTABLE TO ERRORS, OMISSIONS, OR OTHER INACCURACIES IN THE SERVICE AND/OR MATERIALS OR INFORMATION DOWNLOADED THROUGH THE SERVICE. BECAUSE SOME STATES DO NOT ALLOW THE EXCLUSION OR LIMITATION OF LIABILITY FOR CONSEQUENTIAL OR INCIDENTAL DAMAGES, THE ABOVE LIMITATION MAY NOT APPLY TO YOU. IN SUCH STATES, Blog Muhammad Rasyiduddin LIABILITY IS LIMITED TO THE GREATEST EXTENT PERMITTED BY LAW. Blog Muhammad Rasyiduddin makes no representations whatsoever about any other web site which you may access through this one or which may link to this Site. When you access a non-Blog Muhammad Rasyiduddin web site, please understand that it is independent from Blog Muhammad Rasyiduddin, and that Blog Muhammad Rasyiduddin has no control over the content on that web site. In addition, a link to a Blog Muhammad Rasyiduddin web site does not mean that Blog Muhammad Rasyiduddin endorses or accepts any responsibility for the content, or the use, of such web site. You agree to indemnify, defend and hold harmless Blog Muhammad Rasyiduddin, its officers, directors, employees, agents, licensors, suppliers and any third party information providers to the Service from and against all losses, expenses, damages and costs, including reasonable attorneys' fees, resulting from any violation of this Agreement (including negligent or wrongful conduct) by you or any other person accessing the Service. The provisions of paragraphs 2 (Use of the Service), and 3 (Indemnification) are for the benefit of Blog Muhammad Rasyiduddin and its officers, directors, employees, agents, licensors, suppliers, and any third party information providers to the Service. Each of these individuals or entities shall have the right to assert and enforce those provisions directly against you on its own behalf. This Agreement shall all be governed and construed in accordance with the laws of Indonesia applicable to agreements made and to be performed in Indonesia. You agree that any legal action or proceeding between Blog Muhammad Rasyiduddin and you for any purpose concerning this Agreement or the parties' obligations hereunder shall be brought exclusively in a federal or state court of competent jurisdiction sitting in Indonesia . Any cause of action or claim you may have with respect to the Service must be commenced within one (1) year after the claim or cause of action arises or such claim or cause of action is barred. Blog Muhammad Rasyiduddin's failure to insist upon or enforce strict performance of any provision of this Agreement shall not be construed as a waiver of any provision or right. Neither the course of conduct between the parties nor trade practice shall act to modify any provision of this Agreement. Blog Muhammad Rasyiduddin may assign its rights and duties under this Agreement to any party at any time without notice to you. Anda selalu kesal jika berada di daerah terpencil dan jauh dari pusat kota? Kesulitan mengirim pesan instan via BBM dan Whatsapp karena pending terus? Apalagi jika saat hendak browsing sosial media menjadi terhambat karena sinyal sedang down. Akhirnya aktivitas online Anda pun menjadi "mati". Sebagian orang pasti pernah mengalami hal ini, ketika berada di lokasi terpencil seperti pedesaan, lautan apalagi hutan belantara. Seseorang yang ada di desa sampai harus keluar rumah untuk mencari sinyal. Namun ada juga yang mengharuskan naik ke atap rumah atau pepohonan demi sinyal hp yang memadai untuk sekedar menelepon atau sms. Meskipun kartu GSM dari provider ternama pun bisa saja tidak mendapat sinyal yang baik. Untuk itulah jangan tergoda dengan iklan yang bombastis. Sampah adalah barang sudah tidak terpakai yang sering kita hasilkan setiap hari. Mulai dari sampah plastik, organik, logam dan sebagainya. Betapa besar dampaknya jika sampah dibuang secara semabarangan seperti di sungai, jalanan, pekarangan rumah, didalam rumah dan sebagainya. Ini akan berdampak buruk bagi kesehatan. Untuk itu perlu adanya kesadaran bagi setiap masyarakat akan pentingnya kebersihan dan kesehatan lingkungan sekitar. Banyak sudah lembaga swasta maupun pemerintah yang terus mengupayakan sampah menjadi produk yang bermanfaat untuk bisa digunakan kembali dalam berbagai produk keperluan sehari-hari. Misalnya sampah plastik yang bisa dibuat menjadi produk tas. 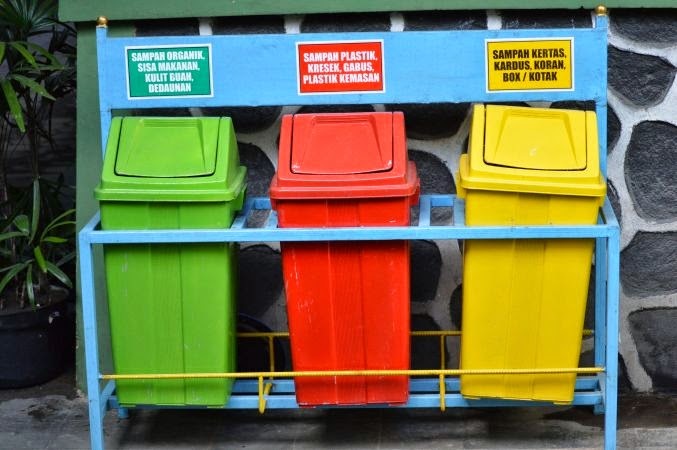 Ini memunculkan sebuah kreativitas yang bagus untuk masa depan masyarakat agar punya kesadaran tinggi akan sampah plastik yang bisa lebih dikembangkan dan diubah menjadi produk multiguna. 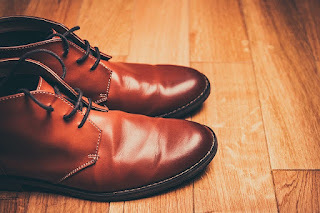 Sepatu merupakan salah satu fashion item yang sering dijadikan koleksi. Hal ini juga tidak lepas dari penggunaan sepatu yang memang diwajibkan dalam bermacam-macam acara, mulai dari sekolah hingga pekerjaan. Bahannya pun juga turut menyesuaikan, misalnya sepatu olahraga biasanya dari Nylon, sepatu harian biasanya dari kanvas, hingga sepatu formal yang biasanya dari bahan kulit sintetis. Namun entah itu dari bahan apa, sepatu memang rentan rusak, misalnya mengelupas. Apalagi jika bahan sepatu tersebut dari kulit sintetis. Bahan yang menyerupai kulit asli ini memang membutuhkan perawatan yang sedikit kompleks agar kualitasnya terjaga. Selain dikarenakan terkena sinar UV dari matahari, kelembaban dan faktor mekanis juga turut mempengaruhi pengelupasan sepatu. Manfaat buah rambutan untuk ibu menyusui memang tidak perlu diragukan lagi. Buah yang terkenal akan rasanya yang manis dan segar ini memang memiliki banyak kandungan yang sangat baik bagi ibu yang sedang menyusui. Rambutan merupakan buah asli dari Indonesia dan jarang dimiliki oleh negara lain kecuali negara tetangga seperti Malaysia. 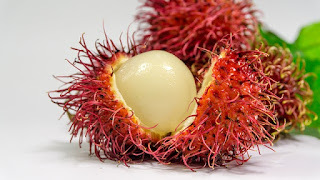 Buah rambutan memiliki beberapa kandungan seperti karbohidrat, energi, serat, lemak, protein, soda dan masih banyak lagi. Maka tak heran banyak ibu menyusui yang sering mengkonsumsi buah rambutan. Kadar soda yang ada di rambutan hampir sama jumlahnya dengan buah durian. Karena mengandung soda, ibu menyusui juga tidak dianjurkan mengkonsumsi rambutan dengan berlebihan. Bagi Anda yang belum mengetahui apa saja manfaat dan khasiat buah rambutan untuk ibu yang sedang menyusui, di bawah ini akan menjelaskan beberapa uraiannya. Cara menghilangkan sifat pendiam - Orang pendiam memang penuh dengan misteri. Sebab dibalik kependiamannya banyak kelebihan yang dimiliki sebab pada dasarnya setiap manusia pasti memiliki kelebihan dalam suatu hal yang membedakan hanyalah apakah kelebihan itu dominan maupun tidak melekat pada orang bersangkutan atau apakah ia bisa mengembangkan potensi atas kelebihannya tersebut. Pun demikian, pastinya setiap orang akan memiliki masalah atas dirinya tidak terkecuali orang yang pendiam. Mencari berbagai cara menghilangkan sifat pendiam dan pemalu yang berlebihan memang sangat penting sekali sebab kita menyadari banyak orang yang menginginkan adanya perubahan dalam hidup layaknya seseorang dengan keinginan kuat untuk mengetahui cara merubah sifat yang pendiam menjadi humoris. Bagi orang yang mempunyai selera humor tinggi akan mudah bergaul dan menjadi satu dengan orang lain terlebih untuk memulai hal baru kaitannya dengan lingkungan yang masih asing.